Apple’s highly-anticipated and most advanced (and priciest) smartphone, the iPhone X, doesn’t go on sale until the 3rd of November, but it is already affecting the sales of the iPhones currently on the market. According to research made by KeyBanc Capital Markets analyst John Vinh (via Reuters), surveys of sales through carrier stores suggest that last year’s iPhone 7 and iPhone 7 Plus are outselling the new iPhone 8 and iPhone 8 Plus in both the United States and the United Kingdom. It easy to understand that many consumers are eagerly anticipating the iPhone X, hence the 8/8 Plus’s weaker sales, but according to Vinh, there are two other factors at play. First is the price-cut on the iPhone 7, which allowed those who wanted a new iPhone this year but didn’t want to pay the $1319+ CAD price tag for the flagship model to pick one up, as they see a big price difference on what they might consider comparable models. 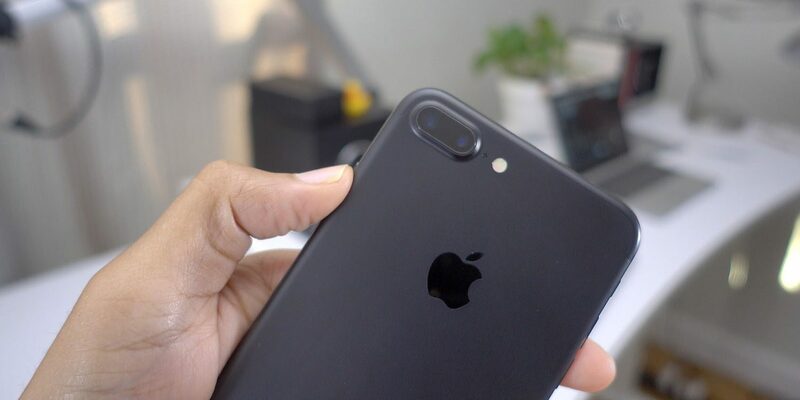 “Many respondents indicated that a meaningful portion of customers are buying iPhone 7 in lieu of the new iPhone 8, given the lack of significant enhancements in the new phone,” Vinh wrote. Apple’s wildly-anticipated iPhone X, a glass and stainless steel device with an edge-to-edge OLED display, will start shipping from November 3. The 10th-anniversary iPhone is priced from $1319 USD — Apple’s most expensive smartphone to date.